It's the Hall of Fame, baby! Scotty Nguyen has been elected to poker's most exclusive club and joining him in the class of 2013 will be former World Champion and prolific strategy author Tom McEvoy. Nguyen and McEvoy will be inducted officially on Sunday 3 November at the Rio All-Suite Hotel & Casino in Las Vegas, the day prior to the start of the 2013 World Series of Poker Main Event final table. McEvoy won the WSOP Main Event in 1983 but is arguably just as familiar to many poker fans as an author, having penned a number of best-selling strategy titles. He proved that his 1983 Main Event triumph was no fluke by adding three further WSOP bracelets. Scotty Nguyen is one of the most recognisable faces (and voices) on the poker circuit and is the owner of five WSOP bracelets. 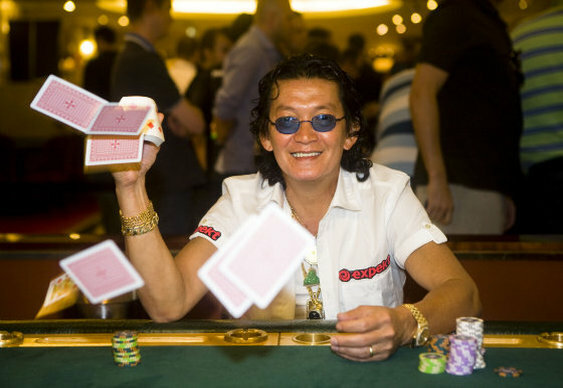 In addition to the 1998 Main Event, Nguyen also claimed the $50,000 HORSE Championship ten years later and in the process became the only player to win bracelets in both events. He also has a World Poker Tour title to his name and total career earnings of just less than $12m. The two were nominated by the poker loving public and voted in by a 37-person panel comprising existing Poker Hall of Famers and members of the media. Other candidates nominated this year were Humberto Brenes, Chris Bjorin, David Chiu, Thor Hansen, Mike Matusow, Jennifer Harmen, Carlos Mortensen and Huck Seed. If you want to know more about Scotty Nguyen's amazing journey from refugee camp to World Champion check out our interview with the Hall of Fame's newest member.